Computer Science hosts one of the largest Co-op Programs at the University of Manitoba with an average of 180 placements per year. Our program revolves around three four-month work terms per year where students are employed by companies and government departments across Canada and internationally. The majority of our Co-op students are in 3rd or 4th year of a four year Honours or Majors Computer Science Degree Program. We also provide the Co-op option for students enrolled in the following joint Honours programs with Computer Science: Mathematics, Physics and Astronomy, and Statistics. Our site contains information for current and prospective employers and students as well as general information if you are just curious about our program. We are pleased to provide links to the employers who support our program on our History of Employers page. We hope you will find our site informative and easy to use. Questions and comments are welcome. Contact information is provided at the bottom of each page. 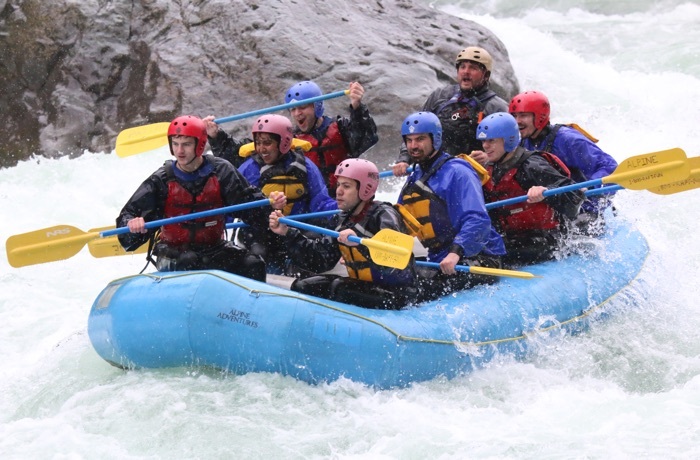 Pictured: five of our Co-op students and their friends whitewater rafting during a work term in Seattle in 2014. The link below is the powerpoint presented by Lisa Wise, Coordinator, Computer Science Co-op, on April 5 during the Computer Science Co-op Info Session. Interested students may pick up an Intake Interview form in E2 497. Please see us in E2 499 with any questions. Ubisoft Winnipeg is hiring a Generalist Programmer to join their studio which creates technology used to build even better worlds across their major brands such as Far Cry, Assassin's Creed and Watch Dogs.